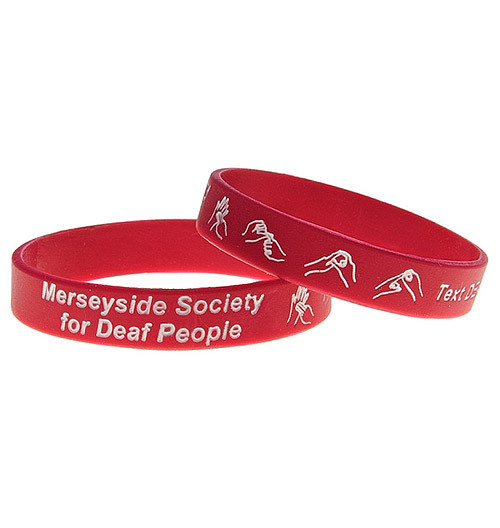 Superb quality debossed & colour filled silicone wristbands designed to your specifications. Note: Full pricing details are available in the pricing table below. 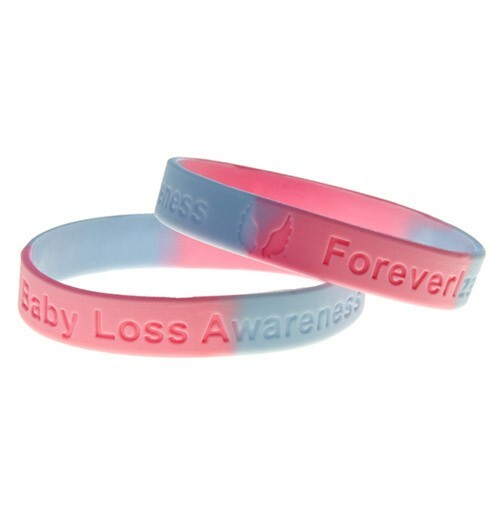 Product information on color filled debossed silicone wristbands. 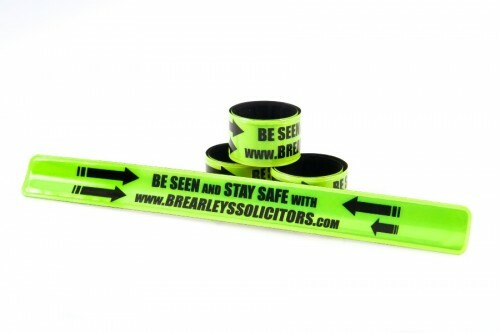 Debossed & colour filled silicone wristbands are an inexpensive way to raise funds and promote your message. Color filled debossed silicone wristbands are very popular with charities, marketing & promotions and social awareness campaigns. Sold by the millions, color filled debossed silicone wristbands are a promotional marvel and a must have promotional product for any marketing campaign. A mould is produced where the message, text and/ or logo are sunk into the custom personalised wristband which is made from 100% silicone and then filled with contrasting coloured ink to highlight the message or organisation. Using bright colours or your organisation’s colours reinforces the message and brand of your organisation or marketing campaign. The wristbands and colour fill can be matched to any Pantone™ colours available for any size order. Because they are durable, fun, attractive/funky (if well designed) and can be worn for long periods. 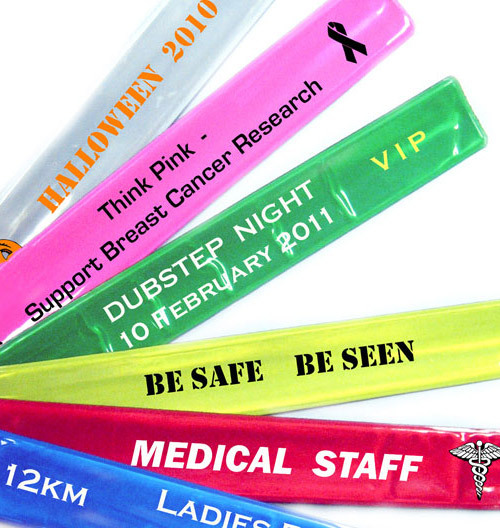 Color filled debossed silicone wristbands are hygienic and hypoallergenic with no open pores for bacteria to accumulate. If you require more than one colour fill please email your saved design to us for a quote. 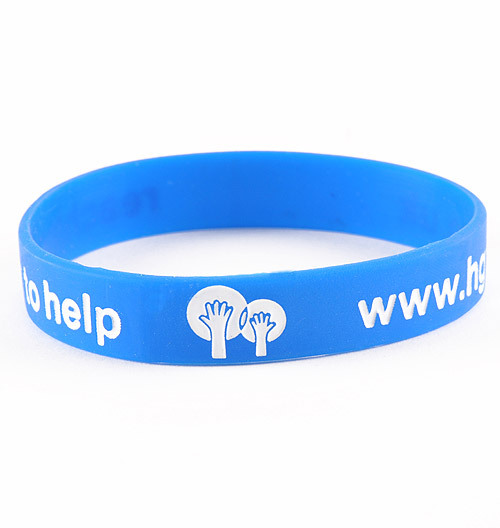 We pride ourselves on providing excellent customer service combined with some of the most competitive prices for custom printed silicone wristbands on the market. Ordered 5 colours as a give away at our last event, they were delivered on time and very popular with everyone. Fantastic product and great service thanks! Fantastic service and product, delivered on time and exceeded the standard we were expecting. Everyone that recieved one as a freebie at our summer event loved them! Thanks!